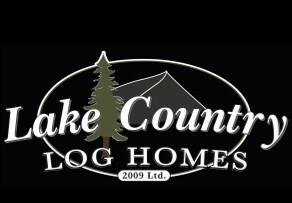 LAKE COUNTRY LOG HOMES 2009 LTD manufactures Handcrafted Log and Timber Frame homes in Malakwa, British Columbia. (10km East of Sicamous) We are seeking experienced builders to join our team. The positions are permanent full-time with opportunity for advancement. Contribute to the full scope of the building process, including but not limited to: layout, scribing logs, cutting laterals, notches and openings; slabbing and slotting of posts for framing; joinery for roof systems. LAKE COUNTRY LOG HOMES 2009 LTD manufactures log and timber homes in Malakwa, British Columbia. We are seeking experienced log and timber stair and railing builders to join our team. The positions are permanent full-time with opportunity for advancement. LAKE COUNTRY LOG HOMES 2009 LTD manufactures log and timber homes in Malakwa, British Columbia. We are seeking experienced log peelers to join our team. The positions are permanent full-time with opportunity for advancement. LAKE COUNTRY LOG HOMES 2009 LTD manufactures log and timber homes in Malakwa, British Columbia. We are seeking entry level log and timber builders to join our team. The positions are permanent full-time with opportunity for advancement.